Neurological Emergencies presents a comprehensive guide on the initial assessment and early treatment of patients with neurological emergencies. It discusses the diagnosis, emergency investigations, and handling of coma patients. It addresses the management of focal supratentorial lesion. 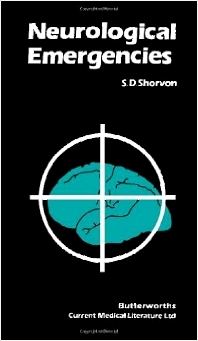 Some of the topics covered in the book are the diffuse neurological or systemic disturbance; emergency resuscitation; diagnosis and treatment of transtentorial herniation; diagnosis and treatment of acute viral encephalitis; raised intracranial pressure; diagnosis and treatment of non-viral infective encephalitis; viral meningitis; meningovascular syphilis; diagnosis and treatment of cerebral abscess; diagnosis and treatment of intracranial subdural empyema; and diagnosis and treatment of cerebral venous thrombosis. The diagnosis and treatment ofstroke is fully covered. An in-depth account of the difference between haemorrhage and infarction is provided. The diagnosis of subarachnoid haemorrhage is completely presented. A chapter is devoted to the prevention of more cranial bleeding.